The first round of the Stanley Cup Playoffs is in the books. Eight teams were eliminated, some faster than others, and eight teams' chances at hoisting the Stanley Cup are still alive. The Western Conference Semifinals have been set for some time now, the last game for the Western Conference was played three days ago. 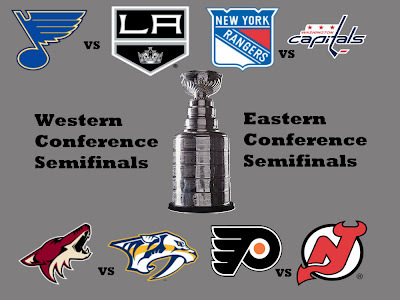 Advancing in the West is the St. Louis Blues, Phoenix Coyotes, Nashville Predators, and Los Angeles Kings. While the Western Conference has been decided for some time now, the Eastern Conference needed a little extra time to decide its winners. Three series went to a decisive seventh game and one of those three to double overtime. 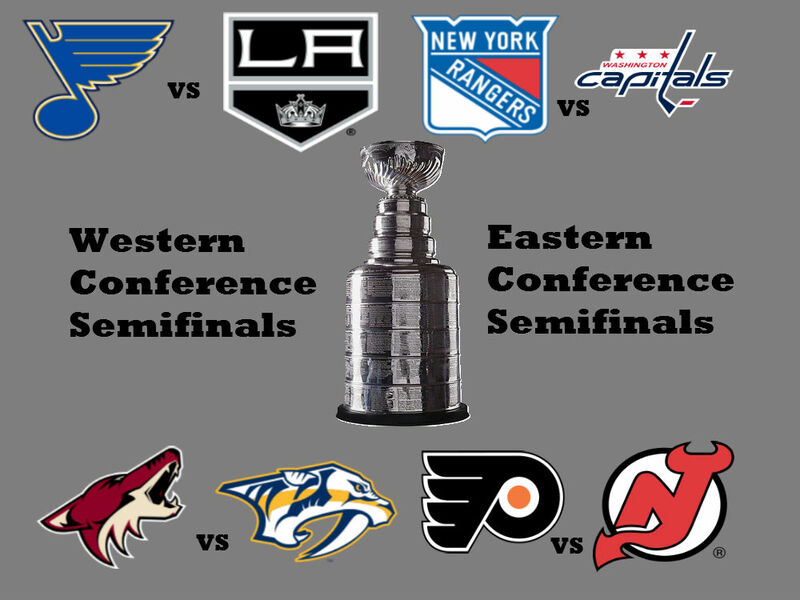 Once the dust settled, the New York Rangers, Philadelphia Flyers, New Jersey Devils, and Washington Capitals made it through to the next round. Here is a quick look at how the second round match ups look.